This tutorial demonstrates how to use a Rule Engine Extension	to evaluate Rule Flow behavior using custom verbs. 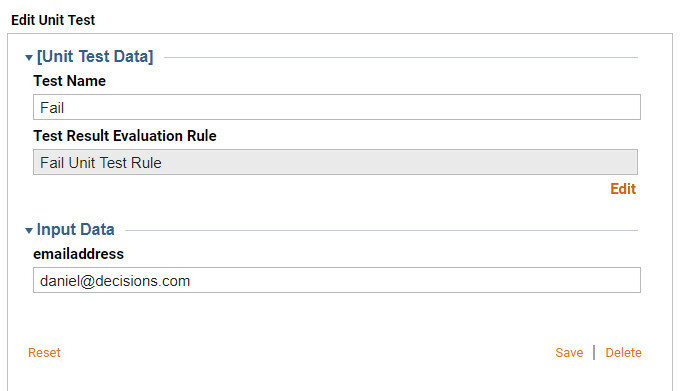 TheFlow Behavior Type	is used to create a custom verb for Rules with a Flow. 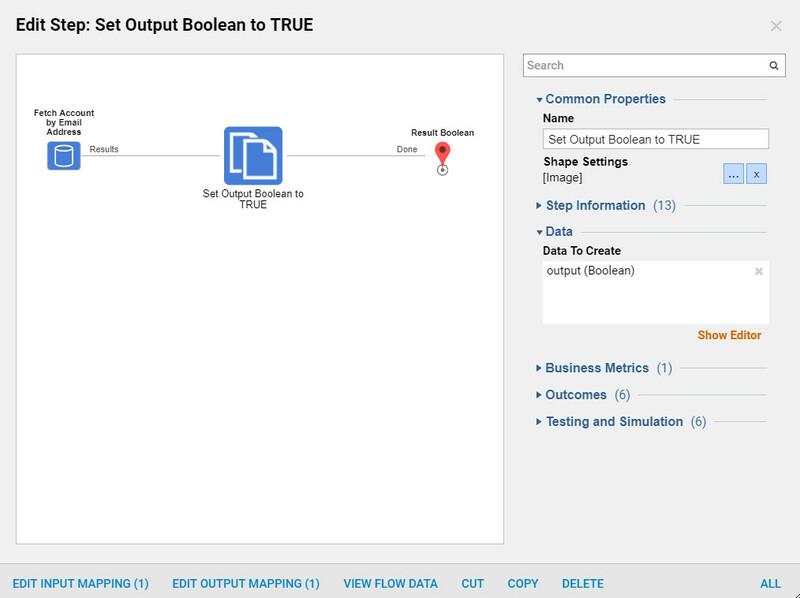 This type of Flow can have an Input	and has to Output	either a True	or False	Boolean	Type. 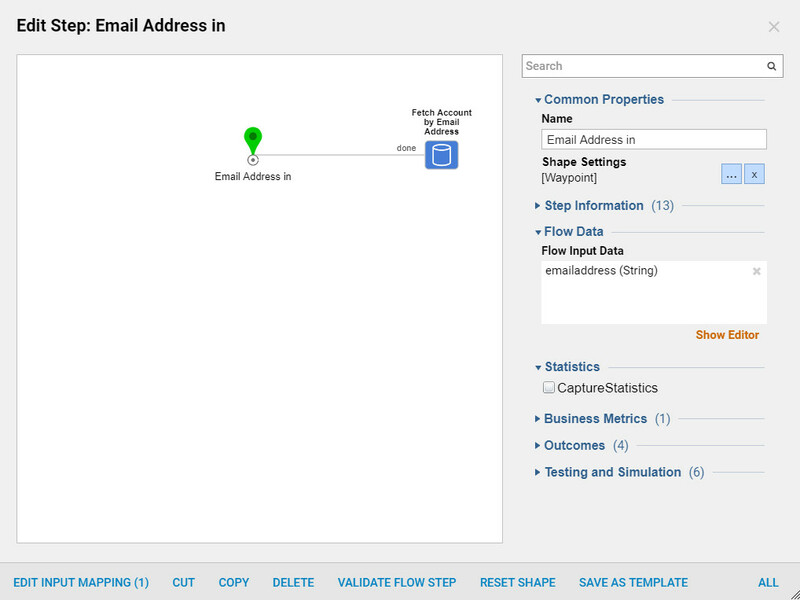 In this demonstration, the Rule Engine Extension	Flow behavior is used to create (emailaddressisinlist) verb	for the Rule Engine . 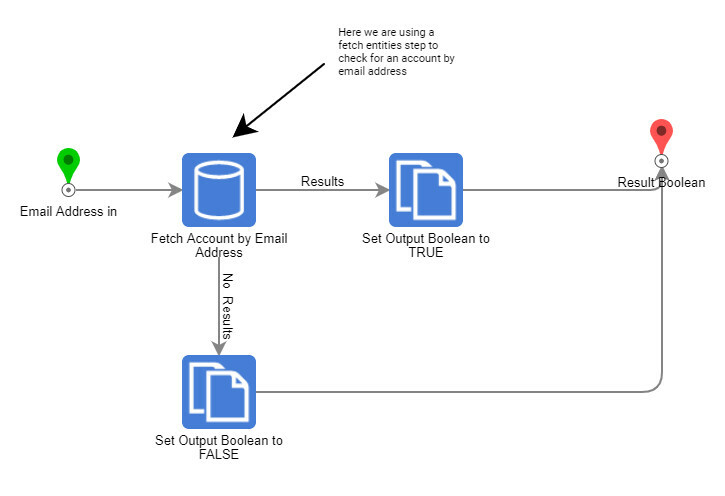 The Flow will have String Input	(emailaddress),	then it will query Decisions Accounts and check if the emailaddress	Input	matches any of the records in the email address accounts. Begin in thedesigner Folder by selecting Create Flow	on the Folder Actions Panel and Name	the Flow. 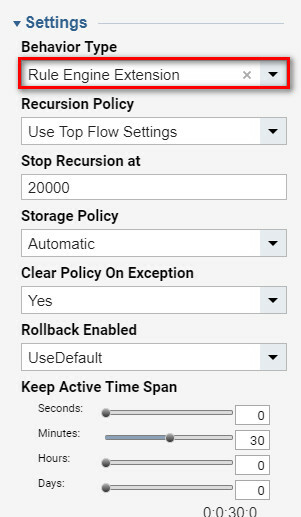 In the Properties Tab in theSettings	section under Behavior Type	select Rule Engine Extension	to set the Flow behavior. Proceed to the Flow Designer and begin building the Flow . 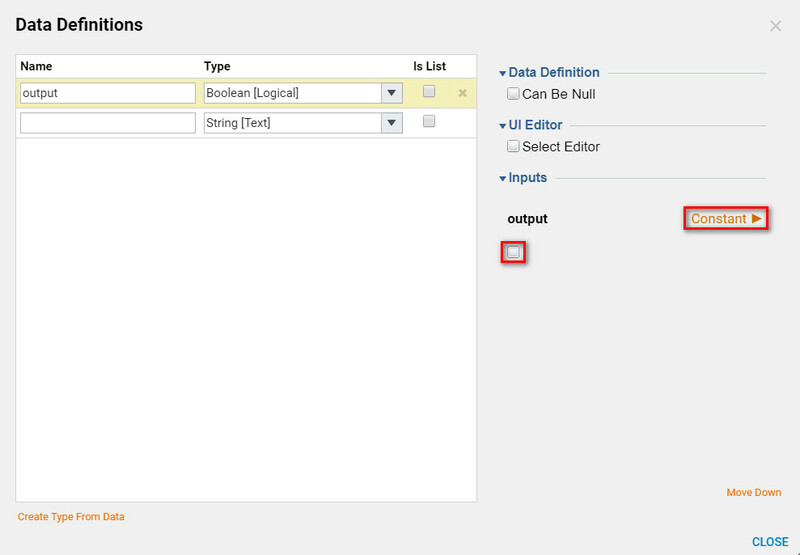 In the Flow Data	section underFlow Input Data	select Show Editor	to add aData Definition. Create a Name	and define its Type as String. To save and exit selectClose. 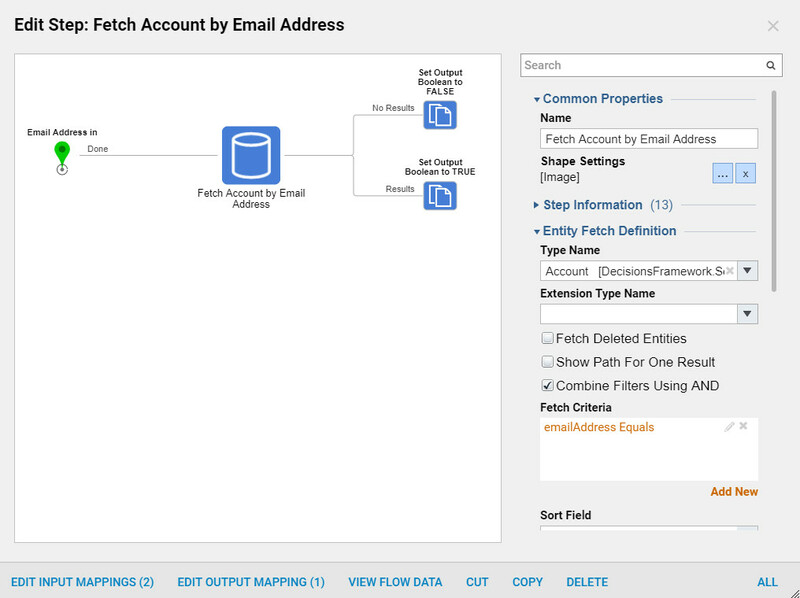 In theEntity Fetch Definition	under Type Name	select [Account]	DecisionsFramework. UnderFetch Criteria	selectAdd New	, to add a data definition (Figure 4). *Note:	select the pencil icon to edit	Fetch Criteria. In the Inputs	section set the output toConstant	and uncheck the box to run the rule asFALSE,	(Figure 8). 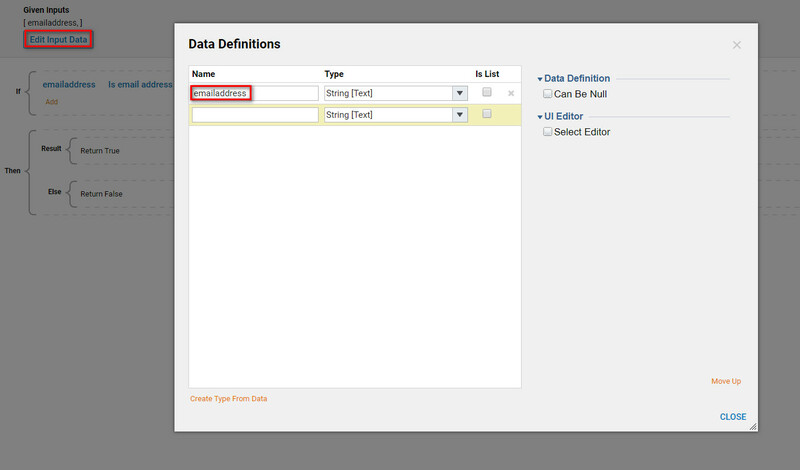 On the End Step in the Data section under Output select Show Editor and create a data definition. Create aName (Result)	and choose the Type (Boolean). In the Inputs	section next toResult	choose Select From Flow	and Pick output. After the Steps	are configured in the Properties Tab under Common Properties, connect the pathway. Complete the flow by selecting Debug	and verify that the flow works properly. T his completes the Creating Custom Verbs Using Rule Engine Extension, save and close Flow Designer. 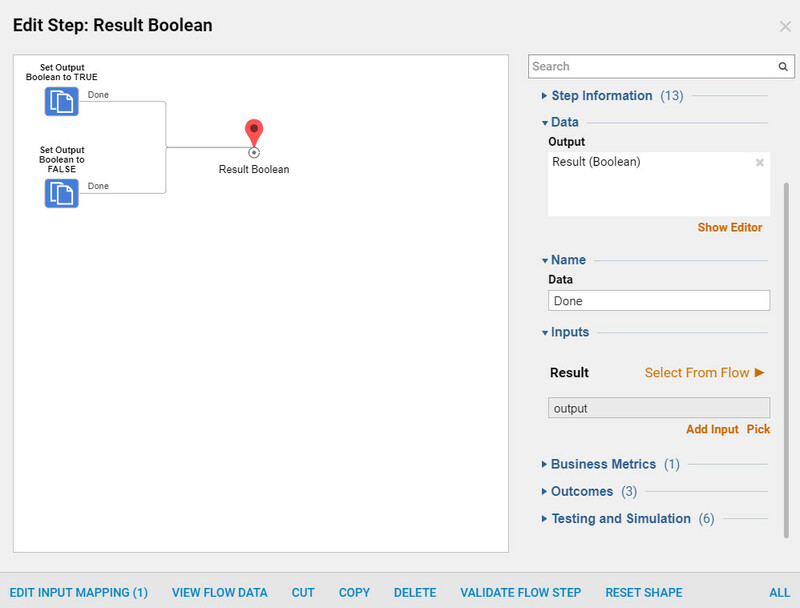 The Flow can now be evaluated using aRule	. Start by creating a Rule in the designer Folder to test the Custom Verb created above. Test theRule Engine Extension	using a Rule. Select Create Rule > Create Rule	from the Folder Actions Panel. When the Rule designer opens in the Rule Data	section select Show Editor	to add Rule Input Data	. Then Name	the input and define its Type	as String	. SelectClose	to save and exit. 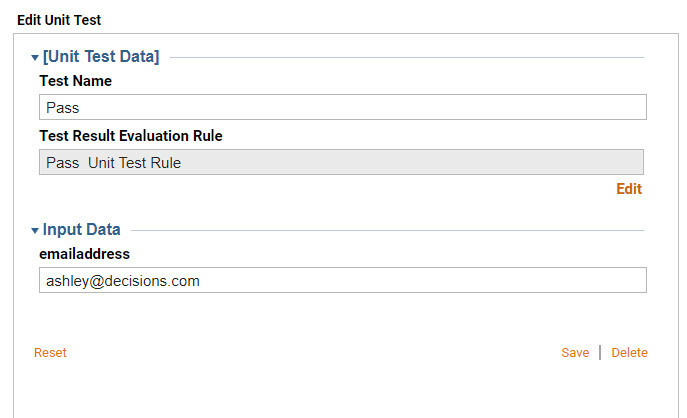 Create the Rule Phrase	that will evaluate the Rule Engine. Pick [Select Data Element]	and choose CompanyName,	next select [Pick Verb]	and expand theEvaluate	category and choose isCustomerInDatabase. Leave**[no parameters]**	as is and complete the rule. This completes the Rule design . Next, create Unit Tests	for this Rule . On the top panel of the rule designer select Debug	to debug the rule. Under Rule Example Data,	select Add New. In theAdd Unit Test	area, add an existing Company Name	from the database	, name the Unit Test (Pass)	and expect it to Pass	. Then, select Save. Now Create	a new Unit Test	, select Add New	. Name the unit test (Fail)	and expect the Rule to Fail. To test theUnit Test Rule	use a company name that does not exist in the database. This example uses the name (The Famous Company)	. and as CompanyName	input we use a CompanyName that does not exist in our database . Click Save. Test the Rule and Run All	Unit Tests. The results should verify that both Unit Tests	executed as expected (firs-Passes, second -Fails).